Protein complexes are important biological function modules in protein interaction (PPI) network and play an important role in biological activities. Usually the topological structure is used as the condition for clustering in the PPI network, which constrains the overall performance of complex identification. To improve this problem, a new complex identification algorithm is proposed based on fusion of multi-source information. Firstly, based on the semantic similarity of GO, we construct a weighted PPI model and design a core-attachment clustering algorithm based on the density, diameter and cosine similarity. Secondly, the seed nodes are sequentially selected according to the descending order of the node degrees in the network and expanded in weighted graph model to identify protein complex. Lastly, the proposed method is compared with three classical algorithms. The experimental results indicate that the algorithm can effectively enhance the performance in terms of precision, F-measure and functional enrichment analysis. 冀俊忠, 刘志军, 刘红欣, 刘椿年. 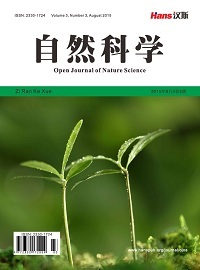 蛋白质相互作用网络功能模块检测的研究综述[J]. 自动化学报, 2014, 40(4): 577-593. 丁玉连, 雷秀娟, 代才. 模拟鸽子优化过程的蛋白质复合物识别算[J]. 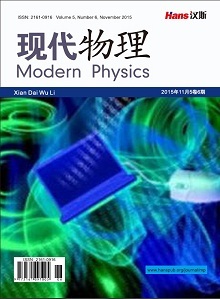 计算机科学与探索, 2017, 11(8): 1279-1287. Wang, Y. and Qian, X. (2004) Functional Module Identification in Protein Interaction Networks by Interaction Patterns. Bioinformatics, 30, 81-93. 于杨. 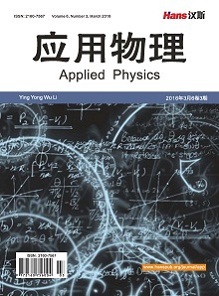 蛋白质相互作用网络中复合物识别算法研究[D]: [博士学位论文]. 哈尔滨: 哈尔滨工业大学, 2014. Bader, G.D. and Hogue, C.W. (2003) An Automated Method for Finding Molecular Complexes in Large Protein Interac-tion Networks. BMC Bioinformatics, 4, 2. Adamcsek, B., Palla, G., Farkas, I.J., Derényi, I. and Vicsek, T. (2006) Cfinder: Locating Cliques and Overlapping Modules in Biological Networks. Bioinformatics, 22, 1021-1023. Van Dongen, S. (2000) Graph Clustering by Flow Simulation. PhD Thesis, University of Utrecht, Utrecht. Ahn, Y.Y., Bagrow, J.P. and Lehmann, S. (2010) Link Communities Reveal Multiscale Complexity in Networks. Nature, 466, 761-764. Wang, J., Zheng, W., Qian, Y. and Liang, J. (2017) A Seed Expansion Graph Clustering Method for Protein Complexes Detection in Protein Interaction Networks. Molecules, 22, 2179. Lakizadeh, A. and Jalili, S. (2016) BICAMWI: A Genetic-Based Biclustering Algorithm for Detecting Dynamic Protein Complexes. PLOS One, 11, e0159923. Xu, Y., Zhou, J., Zhou, S. and Guan, J. (2017) Cpredictor3.0: Detecting Protein Complexes from PPI Networks with Expression Data and Functional Annotations. BMC Systems Biology, 11, 135. 汤希玮, 李勇帆, 胡秋玲. 结合多数据源预测蛋白质复合物[J]. 计算机工程与应用, 2012, 48(27): 105-108. Yang, Y., Liu, J., Feng, N., Song, B. and Zheng, Z. (2017) Combining Sequence and Gene Ontology for Protein Module Detection in the Weighted Network. Journal of Theoretical Biology, 412, 107-112. Vlaic, S., Conrad, T., Tokarskischnelle, C., Gustafsson, M., Dahmen, U., Guthke, R. and Schuster, S. (2018) Modulediscoverer: Identification of Regulatory Modules in Protein-Protein Interaction Networks. Scientific Reportsvolume, 8, Article Number: 433.